Sansho Japanese Pepper is harvested from the Japanese prickly ash (Zanthoxylum piperitum) which is closely related to Sichuan pepper but with more pronounced citrus flavors. There is a common misconception that Sansho Japanese Pepper and Sichuan pepper are the same thing and therefore interchangeable, but that is simply untrue. Other than the difference in flavor there is an obvious visual difference with the best sansho being distinctly green in color. The flavor of high quality true sansho is decidedly citrusy with the first detectable flavors being that of yuzu and grapefruit followed by a mild cooling sensation that gives way to an effervescent, electric sensation which stimulates the taste buds and salivary glands. Traditionally used in Japanese cuisine as a condiment for unagi (grilled eel), sansho is also one of the components of an authentic shichimi togarashi, or Japanese seven spice. Our sansho is the highest grade from the first harvest in Kochi prefecture, Japan, and Epic Spices is the FIRST to import and offer it to the public in the Americas. Hand picked, hand separated from inferior specimens and then gently dried, its quality is unequaled. 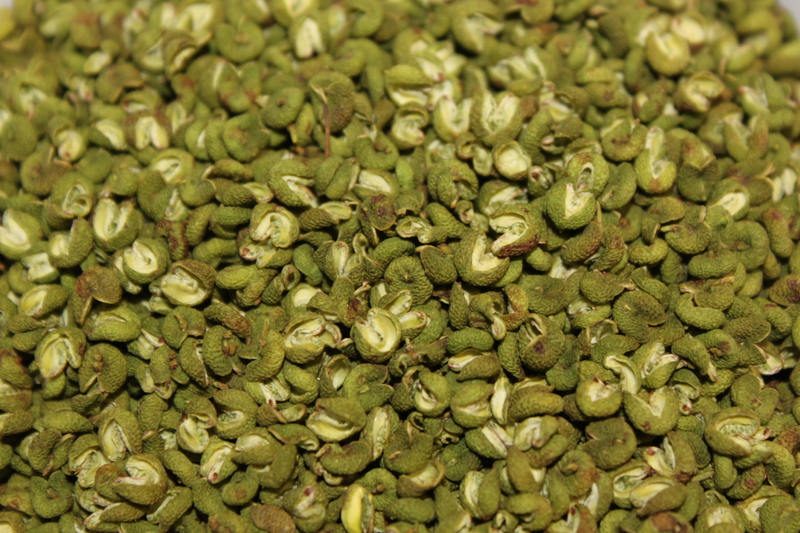 You cannot currently buy sansho of this quality anywhere else in the Americas. 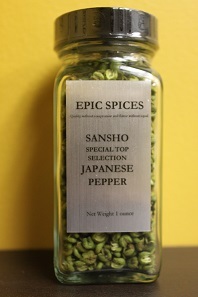 Our Sansho Japanese Pepper, Special Top Selection, is the best of the best. Store in an airtight container under refrigeration. 4oz glass jar (net weight 1 ounce): $20.